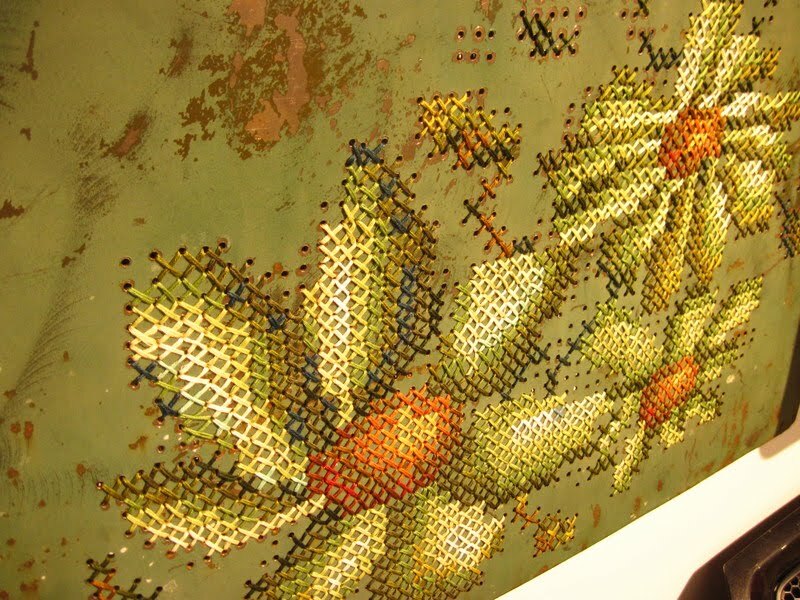 We don’t know the artist’s name but we saw this image along with some others – all cross-stitching into old car parts – on Martine Bos’s blog. recycled and all waste from one component becomes ‘food’ for another. Here what appears to be waste is actually exchange. Kate Fletcher, Sustainable Fashion and Textiles – Design Journeys. Previous articleUncategorized6000 Textiles Graduates: 350 jobs?